Brownwood Depot Plaza on October 1st. of wine and beer from wineries and breweries from across the country. Visitors were given programs to vote for overall 1st, 2nd, 3rd places, and Best of show. Best of Show and 3rd place were awarded to Connie Hansen of Comanche County. 1st place honors went to Connie Hart of Early. 2nd place honors went to Joy Early of Early. 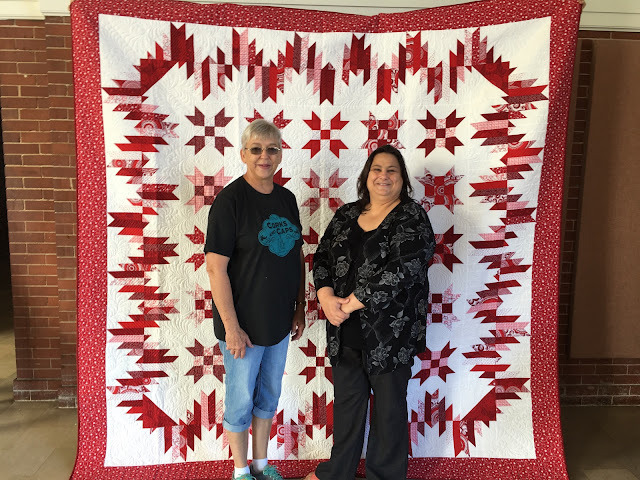 Tickets for the quild donation quilt named "Rancher's Daughter", were also sold and the winner of the quilt was drawn at 9:00 that night. The winner was Barbara Sanpetro from Brownwood. Beautiful quilts. 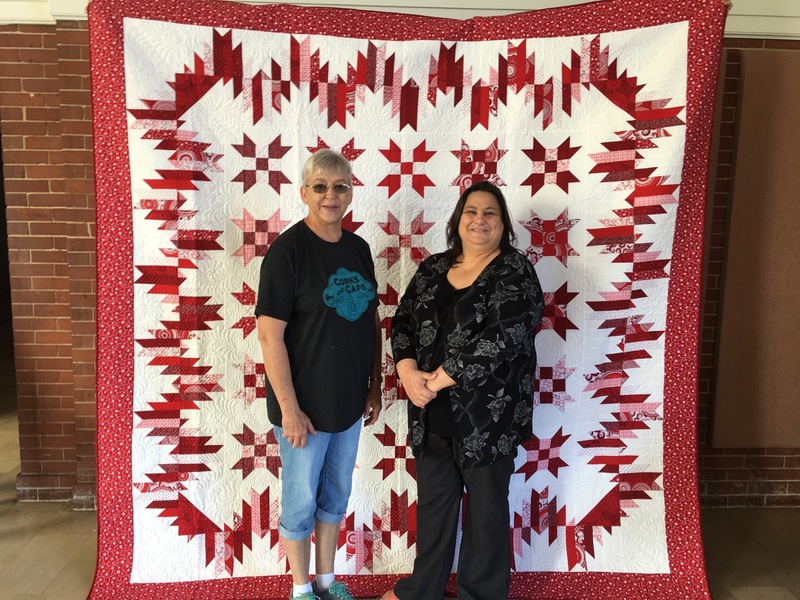 Congratulations to the winners and the lady that won the quilt.